Home » blog » Postal regulation changes coming in May? Postal regulation changes coming in May? What can you do for $.47? Since I posted my last blog on catalog redesign, my colleague Christine Erna forwarded me information on proposed changes from the Post Office that could mean that Top It Off Accessories may need to update their format again to maintain the postage savings from their recent catalog update. If you are a graphic designer or marketer who creates materials for the mail, you should know about these new regulations, too. They are proposing the use of tabs (wafer seals) with no perforations. Unless your vendor uses paper tabs (that block out your cover design), that means recipients will be shredding the areas of the cover wherever non-tearable plastic tabs are placed. They want new tab sizes dictated by the design of the mailpiece. Booklets will now need three 1-1/2 inch tabs and folded self-mailers need two 1-inch tabs. For larger and heavier booklets, they want 2-inch paper tabs! 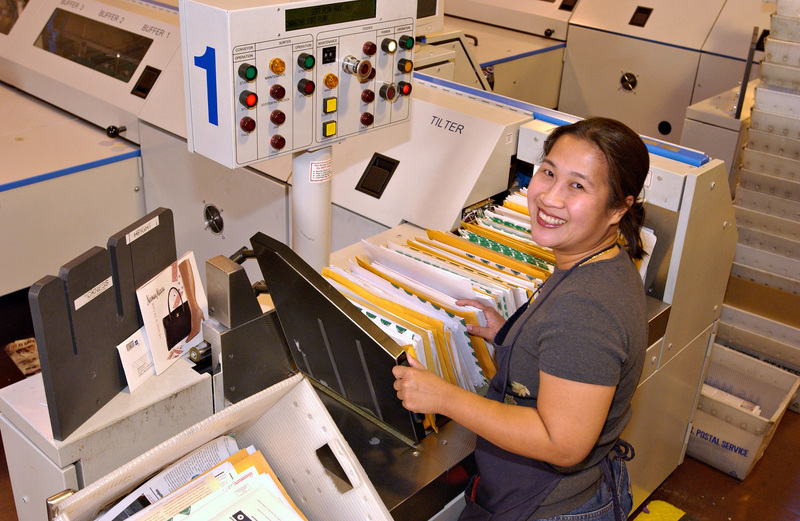 The reason for these changes is to keep the automated mail processing machines humming. They will process (that is, feed, read, barcode and sort) 10 pieces of mail per second. That means if something jams the machine and it takes five minutes to fix, that’s 3,000 pieces that got stopped moving through the system, including that birthday card from my Aunt Millie with the $5.00 that I’ve been expecting. Now I think $.47 is a pretty cheap way to send that birthday card from Aunt Millie’s condo in Florida all the way to my house in a couple of days, and I hate to wait. But to the post office, those 3,000 jammed letters at $.47 each just cost them $1,410.00 in productivity. So what do you do? Start thinking about updating the designs of your catalogs if you want to keep getting maximum discounts on postage. The money you save will offset the cost of the redesign. Hey, it may be time for a complete overhaul so that you can get some savings on the printing as well. Talk to someone who knows enough about printing to help you make effective changes BEFORE you start building your templates. Why is the Neiman Marcus Catalog set aside from the rest of the of the mail? Enter your answer(s) below in the Comments sections. The judges reserve the right to allot additional prizes for both accuracy and creativity. 1 Pings/Trackbacks for "Postal regulation changes coming in May?"